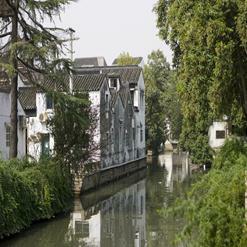 Viewable from the train station, the peak of the pagoda is Suzhou's most famous. A garden and temples are on the grounds. This Buddhist temple is one in the most ancient temples of the city.